Set in magnificent countryside next to a sweeping section of Hadrian's Wall, the Roman Army Museum is owned and managed by the Vindolanda Chartable Trust. The nearby fort of Carvoran was occupied by a regiment of Syrian archers. The museum is an authentic and dramatic tribute to Rome’s extraordinary military legacy. 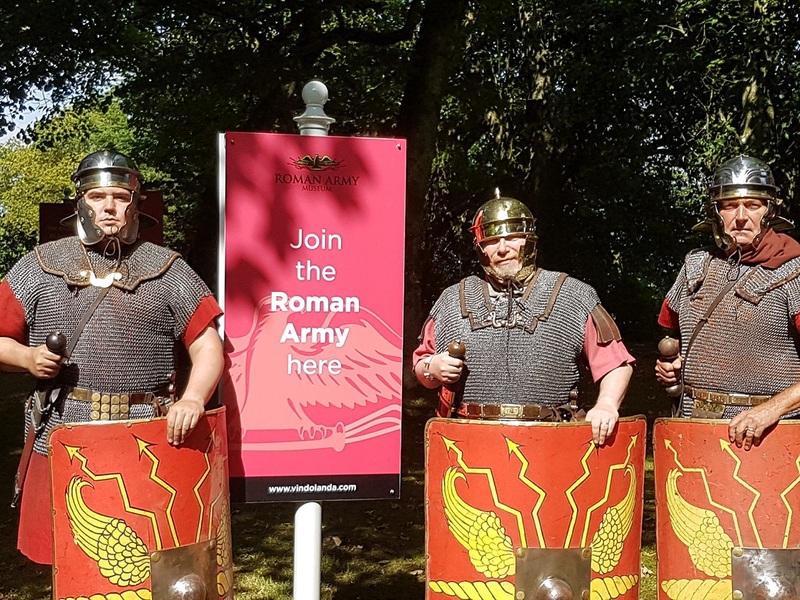 Step into the life of a Roman soldier and experience life on the front line of Emperor Hadrian’s formidable British frontier. The exclusive 3D film Edge of Empire immerses you in what life was like for soldiers on Hadrian’s Wall. The holographic teacher gives you a Roman lesson you won’t forget covering geography, numeracy, beginner’s Latin and fables. The museum displays bring to life the organisation and discipline of the Roman Army, the many different roles and duties of the soldiers, their equipment and training as well as daily life. The artefacts on display come from the excavations at Vindolanda and include weapons and armour, coins and leather and wooden artefacts. The Museum pays unforgettable homage to Rome's military accomplishments in Britain. Complement your visit with a trip to the Roman Army Museum’s sister site Vindolanda, to make a great day out on Hadrian’s Wall. Nearest major road is A69. Follow the brown tourist signs from the A69 at Greenhead or the B6318.